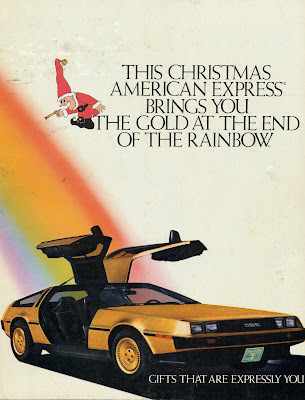 For the 1980 Christmas season, American Express offered a golden opportunity. For only $237,000 (adjusted for inflation) you could have driven conspicuous consumption to a whole new level. In all only three golden examples were built before DMC went the way of the golden goose. 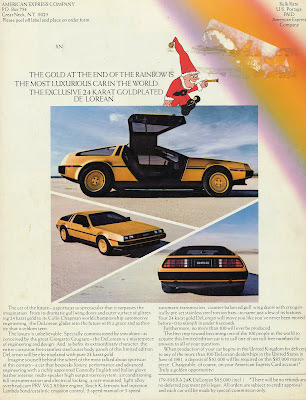 Matt discovered a classified listing for such a car earlier this year. If Wikipedia is to be believed, that car is VIN 4300 and now resides in a museum in Reno Nevada. Hit the jump for the full advert.